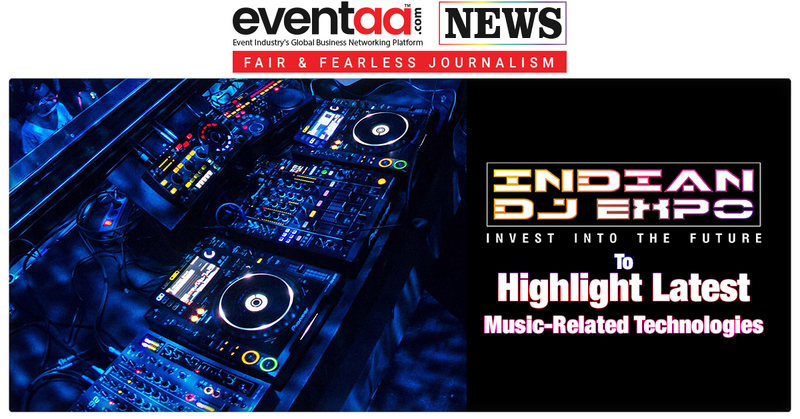 The event industry in INDIA is growing at a scorching pace. Today clients want the Decor & Catering to be innovative, user friendly, facilitative and most important to look majestic. 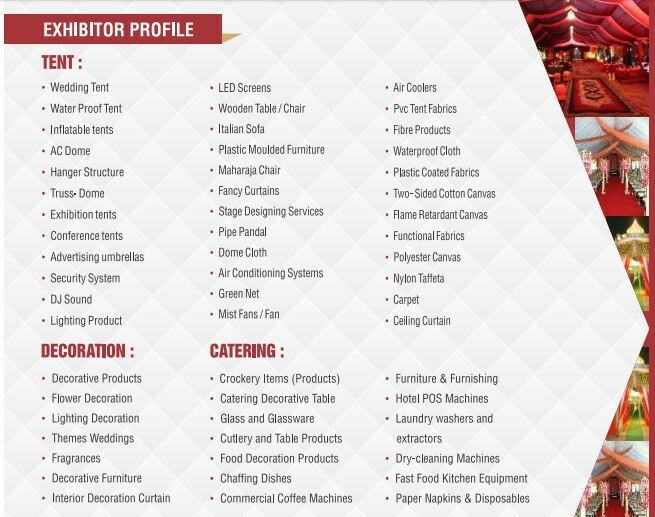 For that, Aakar Exhibition Pvt Ltd have come up with Asia’s largest exhibition in the event infrastructure industry - Tent Decor Asia exhibition, which will have array of new and innovative products on display from leading manufacturers & importers from across the globe. 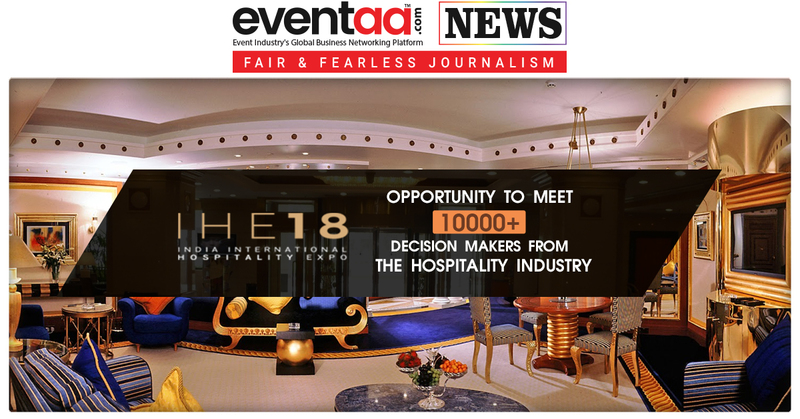 This will enable the Tent industry, catering industry and event industry to meet the market leaders personally and compare the best products in the industry. Tent Decor Asia exhibition will be organized at Pragati Maidan, New Delhi from 12 August to 14 August 2018, and Bombay Exhibition Center, Mumbai from 29 August to 31 August 2018. The three-day long exhibition will give a chance to all its visitors to directly meet exhibitors and network with key suppliers and industry leaders. 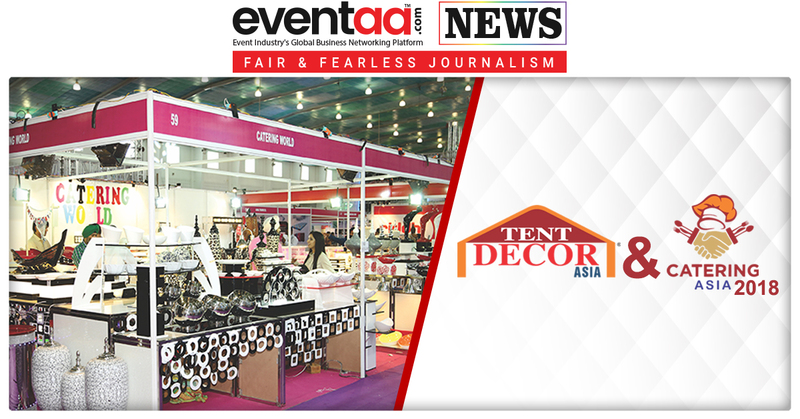 Tent Decor Asia Exhibition is the key meeting place for everyone in the Event (exhibition, wedding, events) industry. With over 45000 unique trade visitors attending in the year 2016, one can meet, network and gain knowledge with colleagues and peers from across the event decorators community. With over 400 specialist suppliers exhibiting at the TENT DECOR ASIA Exhibition, showcasing their latest products, services and solutions, the exhibition is the place to get the information you need. Visitor will get chance to meet a whole host of new suppliers all under one roof, and take advantage of the opportunity to question, examine and compare suppliers from around the globe, network and hold conversations in person and build new business relationships.